New for Summer 2012, guests can look forward to a warm welcome at this small, traditional hotel, offering good value, simple accommodation and a friendly atmosphere. All bedrooms are south-facing with balcony. Located just 5 minutes' walk from the railway station for easy access to the Jungfrau walking area. The resort bus, free with your guest card, stops 2 minutes' away. Public PC with internet access (Free). 28. All of our comfortable twin rooms have south-facing balconies and lovely views of the Eiger. All rooms have bath or shower, cable TV, radio telephone and hairdryer. We update Hotel Jungfrau Lodge's details often, but facilities do change. e.g. some extras listed by the supplier as "free" or included might only be for the first time you use them, or for one time per party, then charged for further use. If any specific feature is essential to your holiday, make sure you ask us to confirm the details of it before you book your holiday. This accommodation only holiday to Hotel Jungfrau Lodge in Grindelwald, Switzerland departs Wednesday 25th September 2019, for a 3 night stay on a "bed & breakfast" board basis. A local tourist tax (Taxe de Sejour or Kurtaxe) is levied by many councils in European resorts. It varies by standard and type of accommodation and is age dependent, so not everyone is charged. It's not included in the basic price of your holiday and is usually paid locally. For reference, the average charged in winter 15/16 was between 50p and £2 per person, per night. 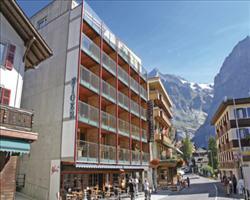 Hotel Eiger Grindelwald Switzerland, Accommodation only to Accommodation only 25th September. 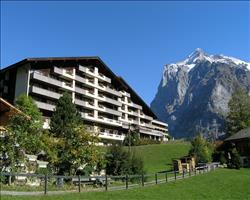 Hotel Sunstar Grindelwald Switzerland, Accommodation only to Accommodation only 25th September. 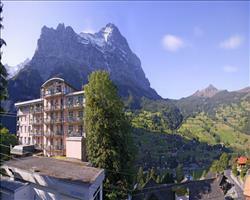 Hotel Belvedere Grindelwald Switzerland, Accommodation only to Accommodation only 25th September. 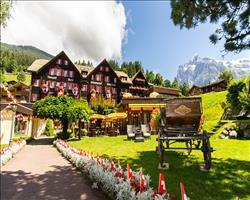 Romantik Hotel Sc... Grindelwald Switzerland, Accommodation only to Accommodation only 25th September.